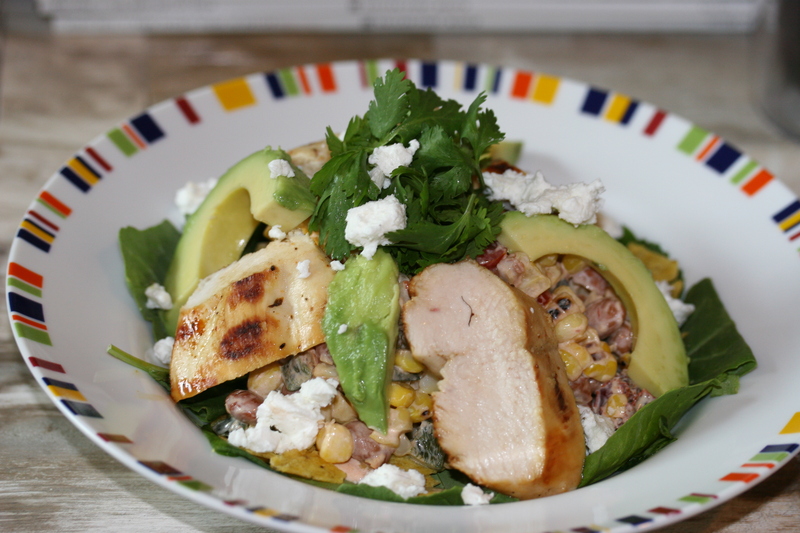 I was leafing through one of my Rachael Ray’s magazines and spotted an interesting salad that had roasted corn, grilled chicken and avocado. Before I go any further, I must say regardless of what you think of Rachael Ray she puts out really simple but delicious recipes. I don’t watch her shows or anything but I do have her cookbooks and take her magazine. She cranks out so many recipes it’s insane to comprehend. I rarely disappointed in anything I try from her. 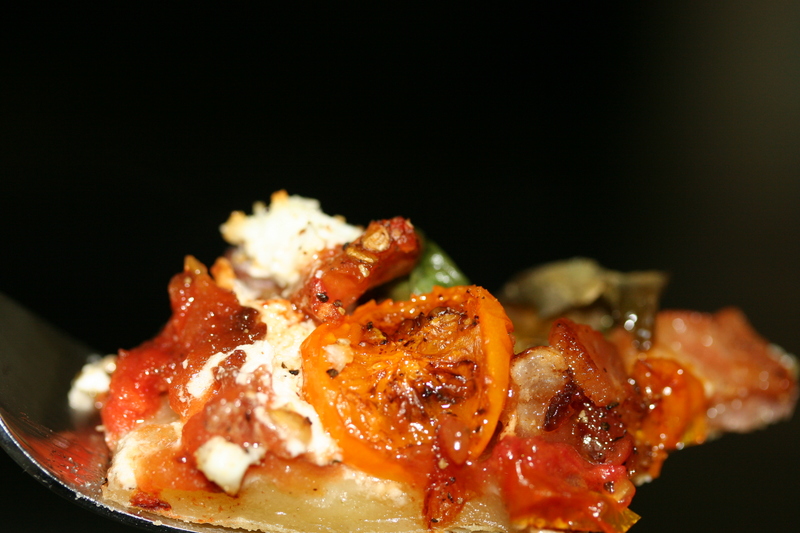 She, Ina and Rhee really have a knack for churning out great recipes that turn out well. So I saw this salad in her magazine but didn’t really want a lettuce intensive salad. Interesting tidbit, some guy released a report about salads and how they aren’t that great for you. He states that they are mostly water and when compared to other vegetables the nutrient ratio is super low. Meaning if you eat a big salad without a lot of other stuff in it you are eating low nutrition water. When you look at how spinach and other greens cook down so much it kind of makes sense. Most fruits and vegetables contain a lot of water, heck proteins. But it’s interesting to consider water to nutritional value ratios. I digress again. I took some chicken out in the morning and poured in some lime juice, cilantro stems, chili seasoning, oil and a little tequila and I let it marinate for a few hours. The acid from the lime tenderizes it. 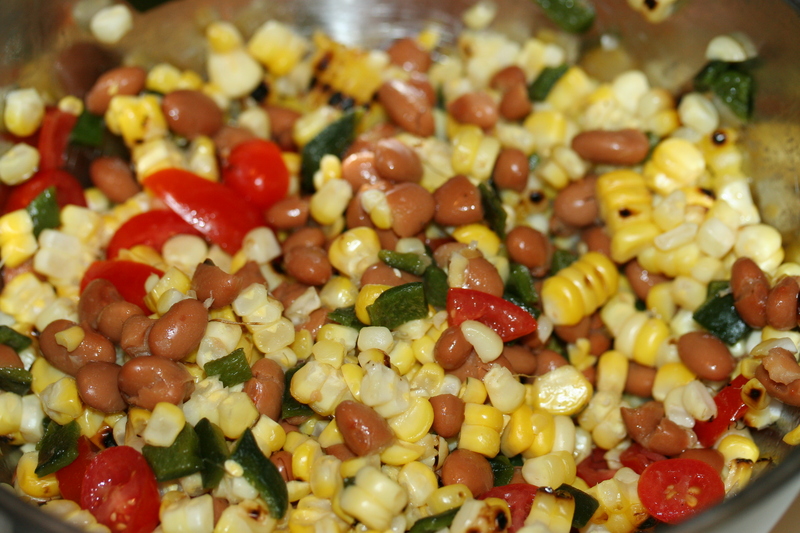 I picked up some poblanos, corn, avocados, shallots, cherry tomatoes, 1 can of organic pinto beans. That was the base of my salad. As for the dressing I simply took some sour cream and mixed in some adobo sauce and lime juice. This ate kind of like a cold version of Chipotle bowl minus the rice. 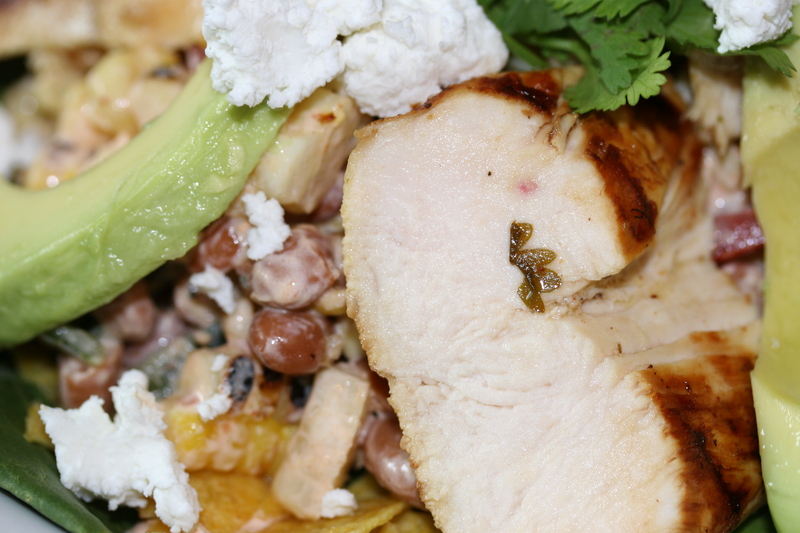 The roasted veggies and adobo sauce gave it a smokey element and the corn popped with sweetness and the beans and avocado added a creamy element. For crunch I did crumble 3-4 tortilla chips. 1. Marinate your chicken breasts for three hours up to overnight in the juice of one lime, shot of tequila, about 1 tbs of chili seasoning and the stems of your cilantro. 2. Fire up a grill pan or your grill on medium high heat and put your shucked corn and poblano’s on the pan (no oil). Put a char on them and pull them off when nicely blackened. Set aside the corn and put the peppers in a bowl with plastic wrap to steam. After both cooled. 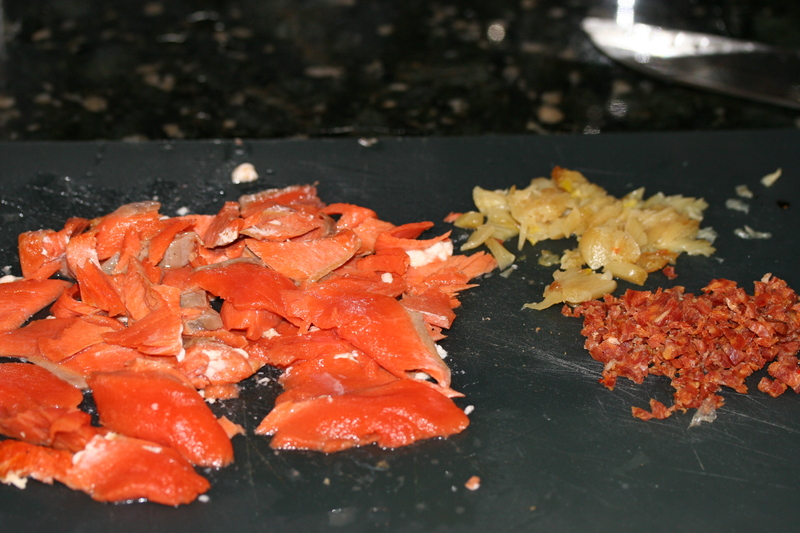 Remove the skin of the peppers, seed them and dice them up. Cut the kernels from the cobs. 3. Rinse the beans, dice the tomatoes and red onions. In a bowl combine these with the corn and peppers you blackened. 4. Mix your sour cream, juice of half a lime, and adobo peppers and sauce. Stir it into your veggies to coat them well. 6. Plate it by crushing some chips in the bottom of a bowl. 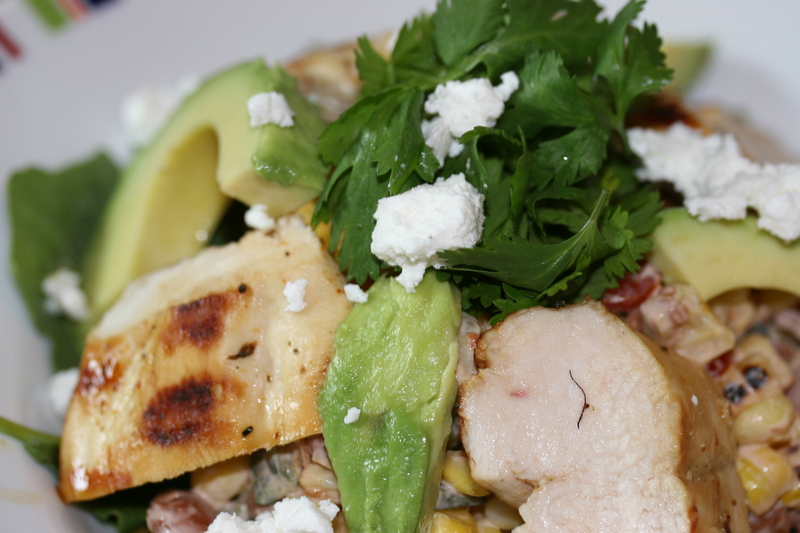 Spoon the veggie mixture into a mound and place your chicken and avocado on top. 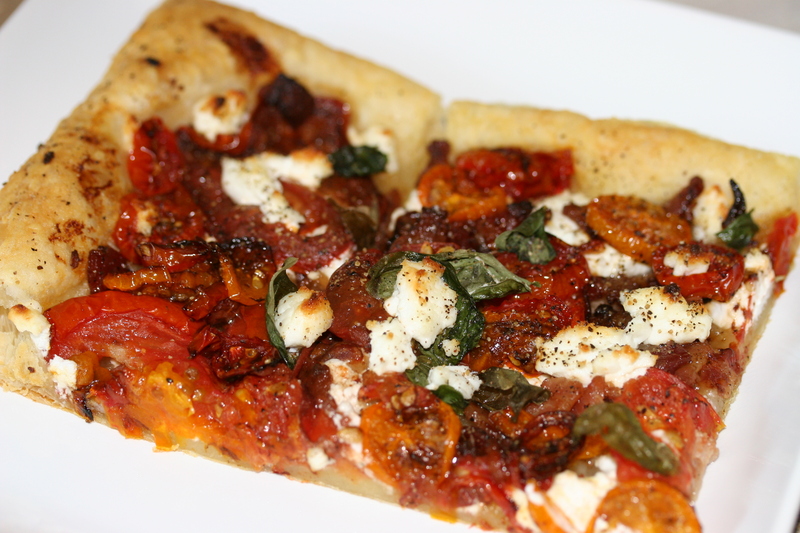 Sprinkle some cilantro and goat cheese to finish. You could spoon in some salsa but really the salad is kind of a chunky salad. 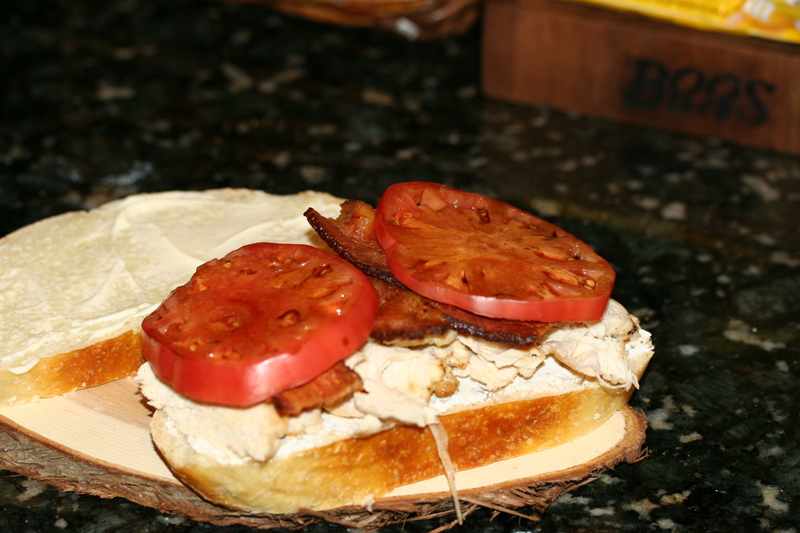 This was a terrific sandwich. 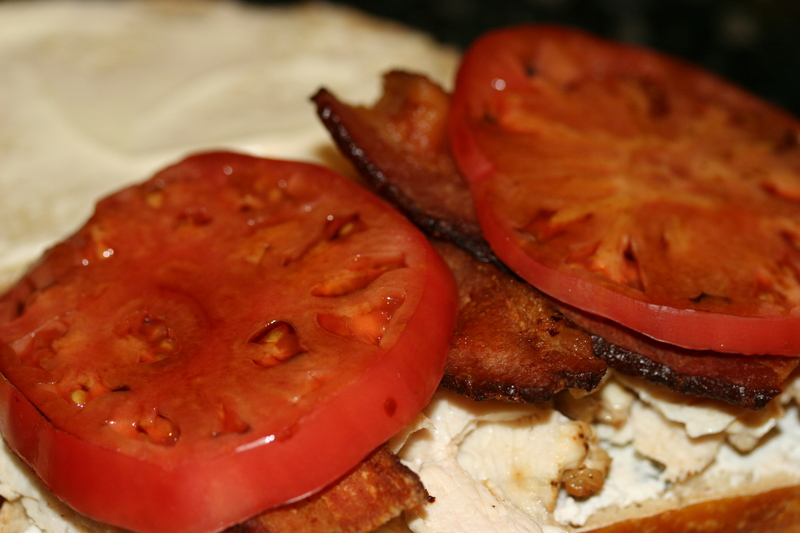 The soft sourdough bread with crispy bacon, tender chicken breast, balsamic marinated heirloom tomatoes complimented with tangy and herbaceous goat cheese. Very simple but one of those meals where you think “wow why don’t I have this once a week”. You could serve it hot, room temperature or even cold. 1. 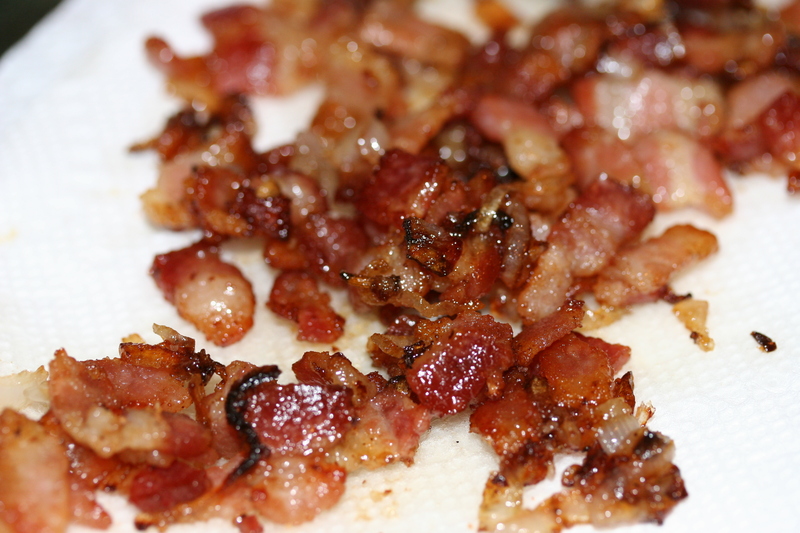 In a medium-low heated cast iron skillet add your bacon. The trick is to go low and slow to properly render out the fat and to crisp it perfectly. It shouldn’t curl up on you. If it does turn your heat down. 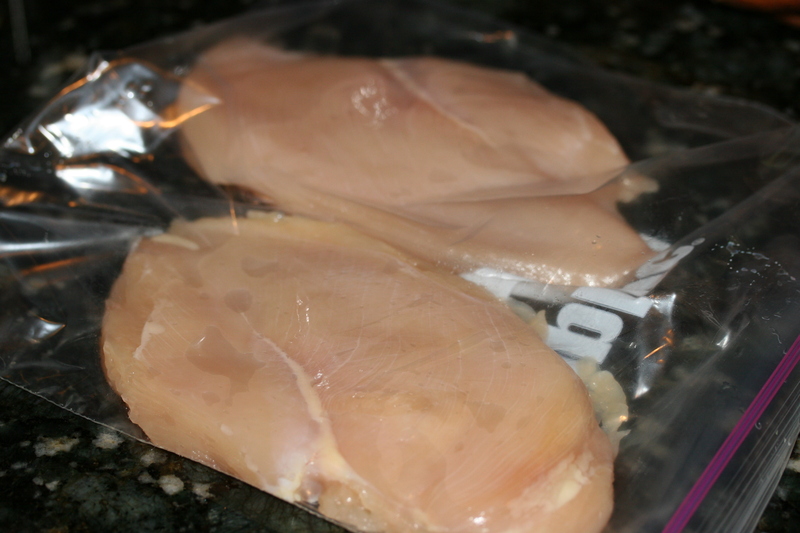 When cooked remove and place it on paper towel. 2. Lightly salt and pepper your chicken after you pounded it so that it is a consistent thickness. This will ensure it cooks evenly and stays juicy. Place the chicken right into the pan you were using for cooking the bacon. When done let it rest and slice thinly against the grain. 3. While your chicken is cooking. 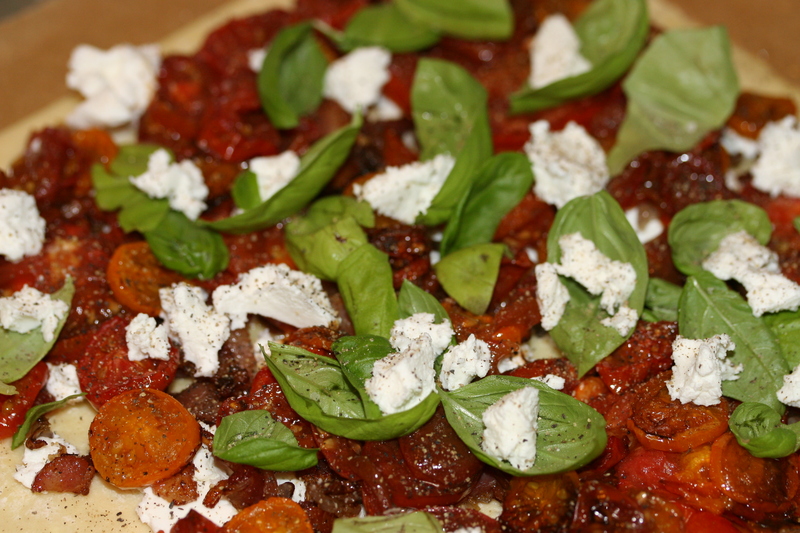 Take some goat cheese and add chopped basil and thyme. I heat it in the microwave for 5 seconds to blend it easier. Let it come to room temp and you can skip that step. 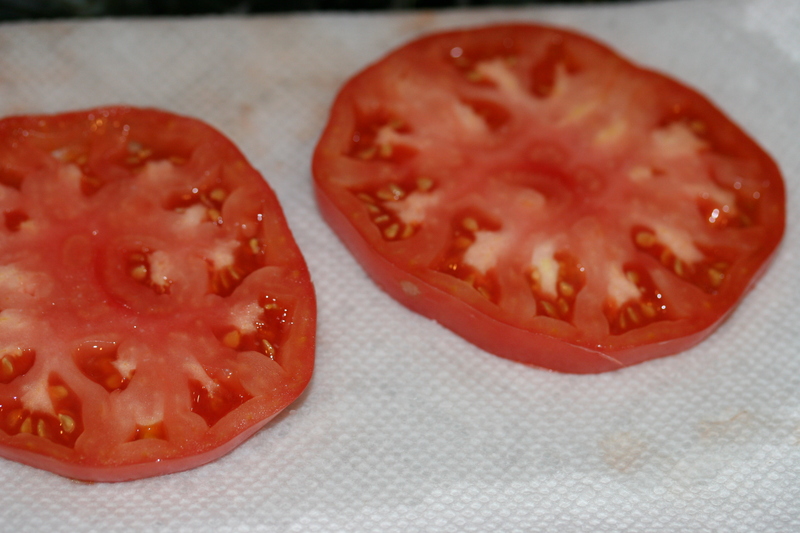 Also slice your tomatoes, salt them and place on a paper towel. 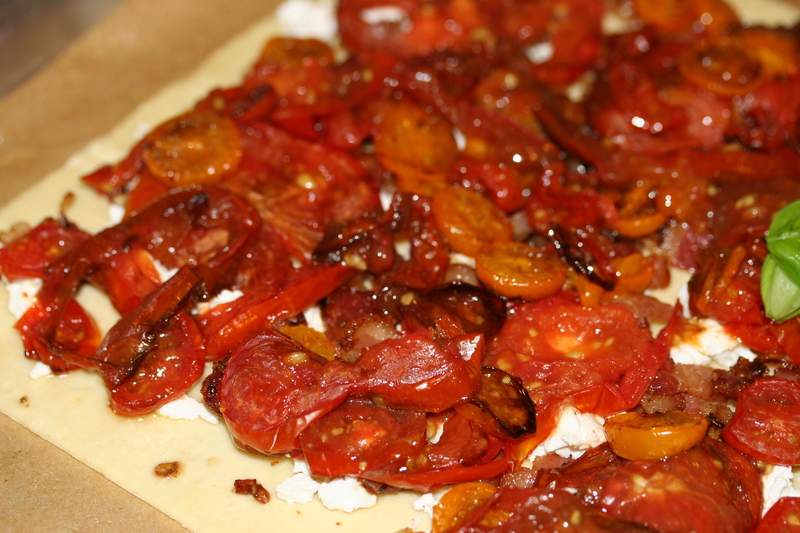 The salt will draw out the moisture and aide the balsamic vinegar in soaking into the tomato. 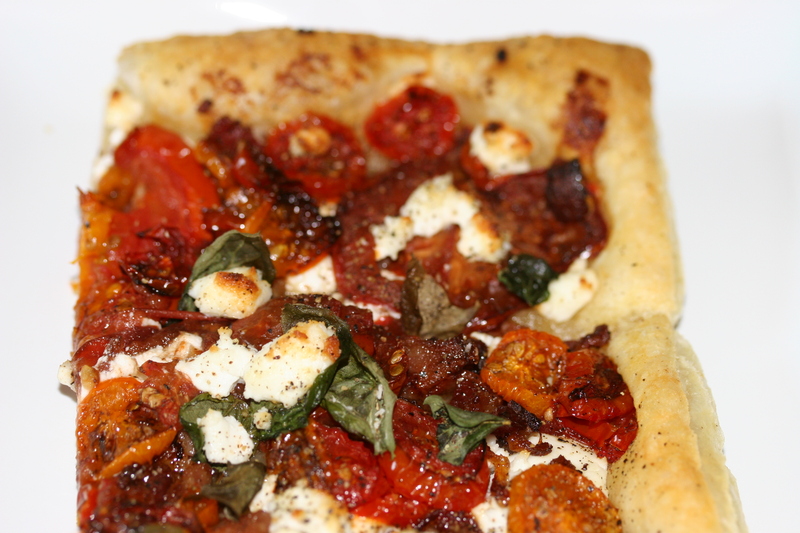 After about 5 minutes dab with paper towel and drizzle balsamic vinegar on your tomatoes. Lame name but delivers on taste. I typically make a couple of runs to the grocery per week. My first run is typically Sunday afternoon. So prior to that run I have a lot of items left that need to be used and consumed. On hand I had a bunch of asparagus, a little broccoli and half a head of garlic. 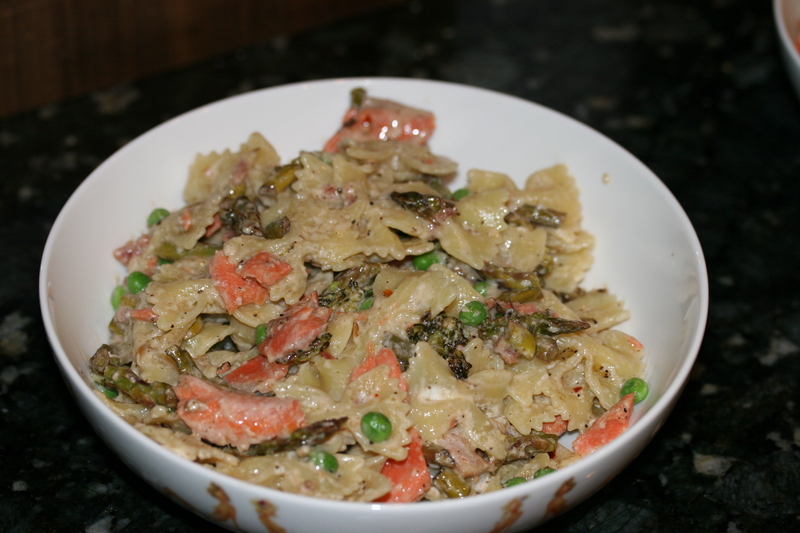 I pulled out a salmon filet from the freezer and decided I would whip up a pasta dish. To be frank, nothing about any of the above ingredients excites Jill. So she took a bath following her treadmill time and I went to work. This little comfort dish really turned out fantastic. 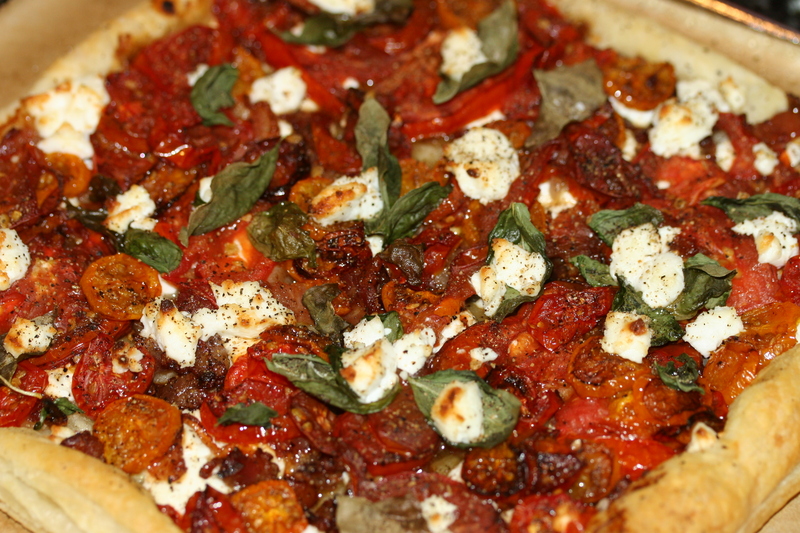 The roasted veggies imparted a nuttiness, the Parmesan and salami give a salty savory flavor. 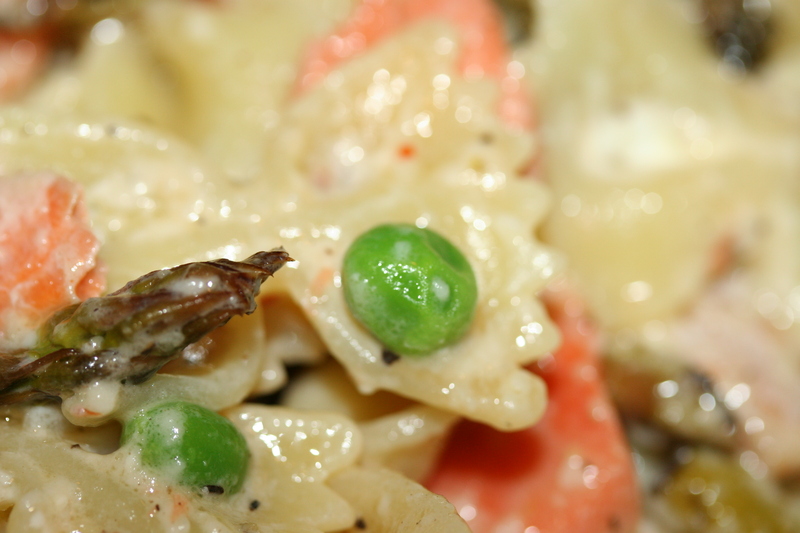 The peas would pop with sweetness and finally the goat cheese gave it a tangy creaminess. 1. Dice up your asparagus and slice your broccoli. In a 400 degree oven cover the veggies with oil, balsamic, salt and pepper. Also cut the top of the your garlic bulb off, drizzle olive oil and wrap in foil. Put that pan in the oven for about 20mins-30mins. 2. 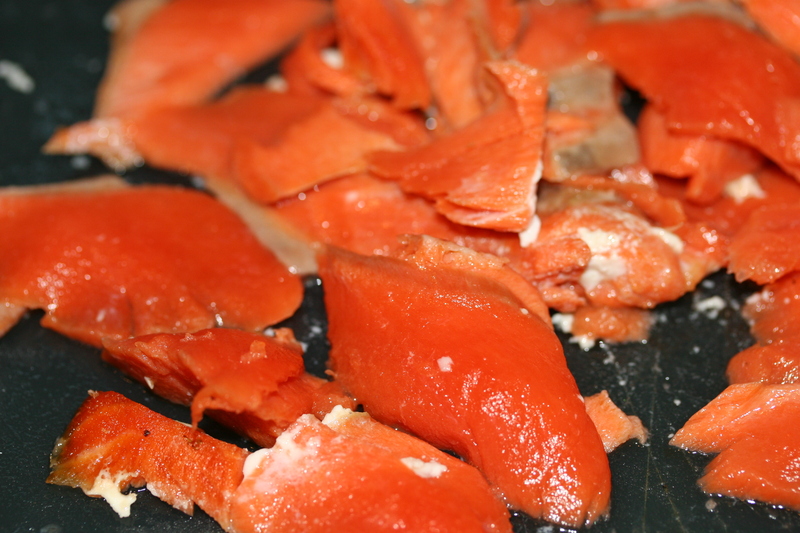 While the veggies are roasting, remove your peas from the freezer, prep your salmon filet with oil and a little salt. Dice up your salami finely. 3. When the veggies are done. Lower the oven to 300 degrees. Remove the veggies from the pan and add your salmon and roast it for about 15 minutes. Remove it at medium rare. 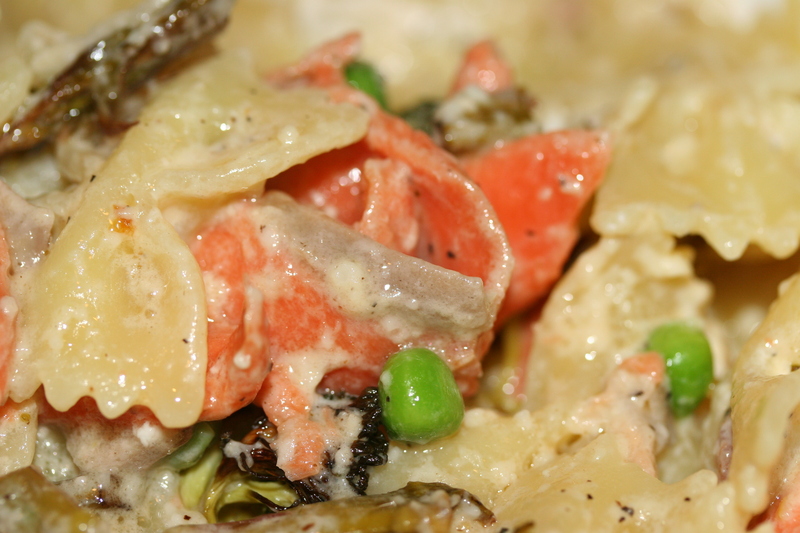 You will be putting it in with the pasta in a pan and it will cook a little more. 4. Cook your pasta in salty boiling pot of water. Cook it al dente so hat it retains a little chew to it. Scoop about 1 cup of the pasta water to use to thin out the pasta. 5. So now everything is cooked and chopped. Let’s put it all together. In a large skillet on medium low heat, melt the butter. 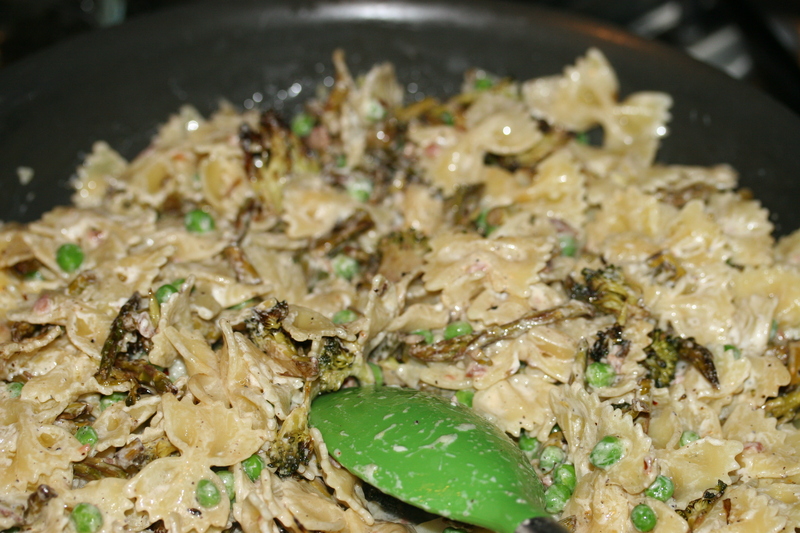 Add the peas, diced roasted garlic and diced salami. Stir in the goat cheese and red pepper flakes and pepper. 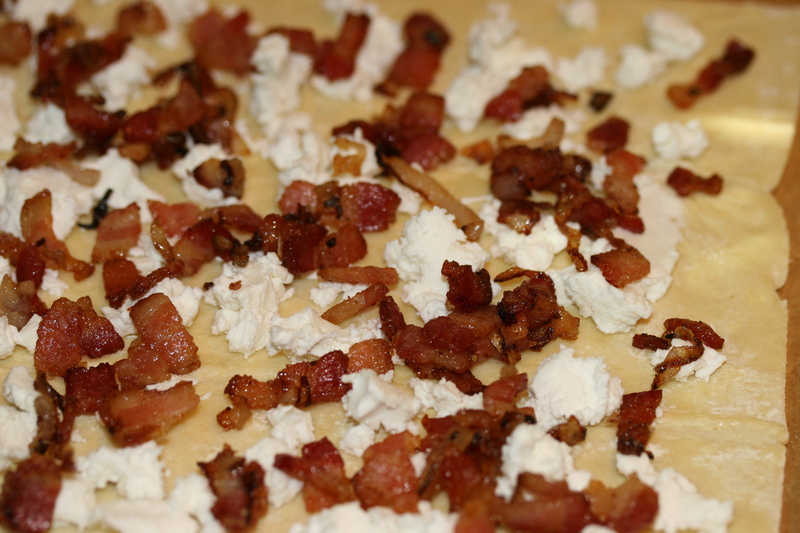 Let the goat cheese melt down so that is can coat everything nicely. Now add your pasta and stir and coat well. At this point you will likely need to add a half cup of pasta water while stirring. 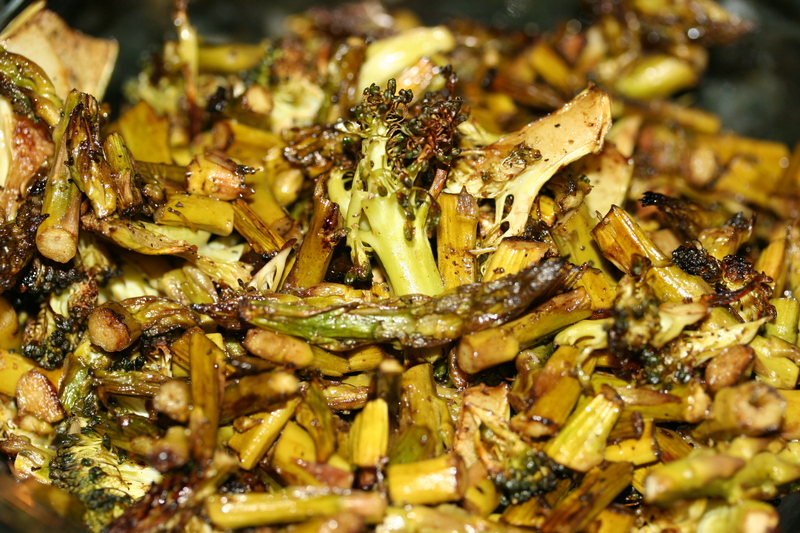 Now fold in the roasted asparagus and broccoli. 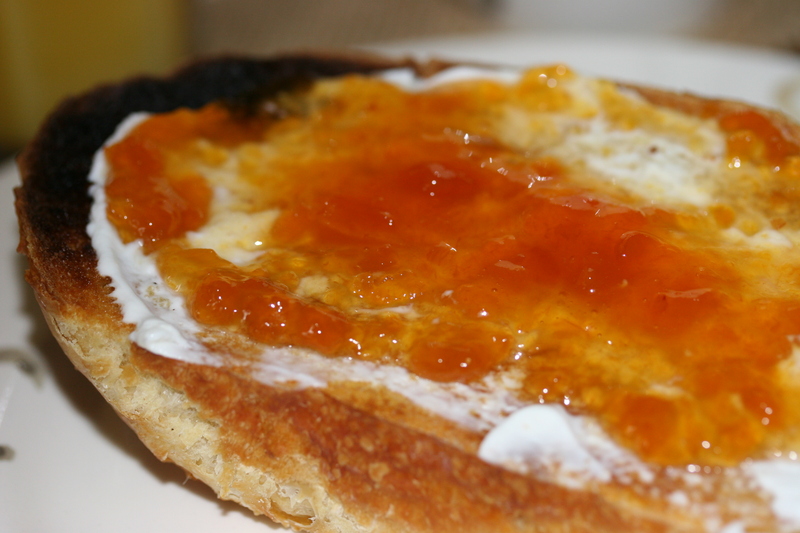 This super easy toast is one of Jill’s favorite thing I make for breakfast or brunch. It’s pretty awesome. 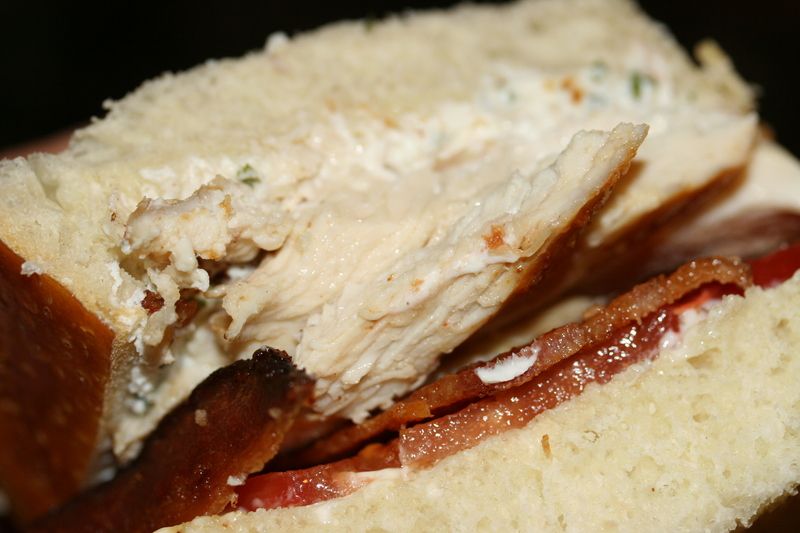 Thick sliced crusty broiled sourdough bread that is soft and toothy in the middle and on the bottom. 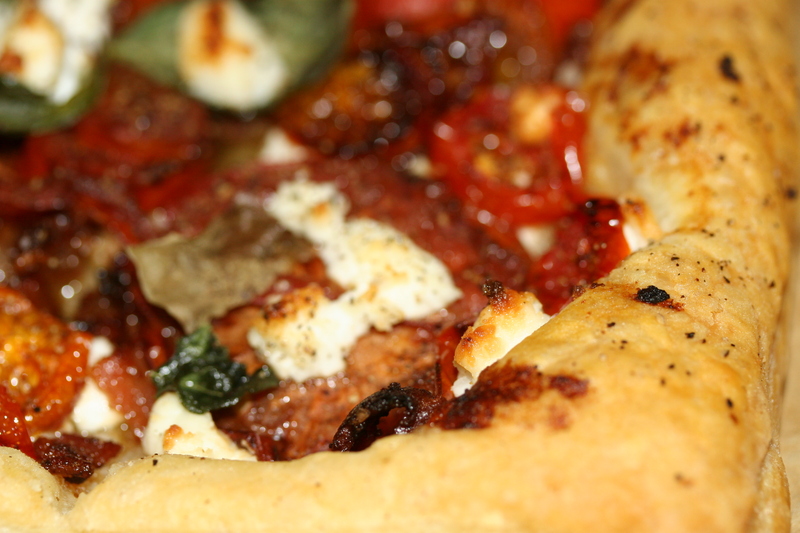 A schmear of goat cheese and cream cheese topped with your favorite jam. 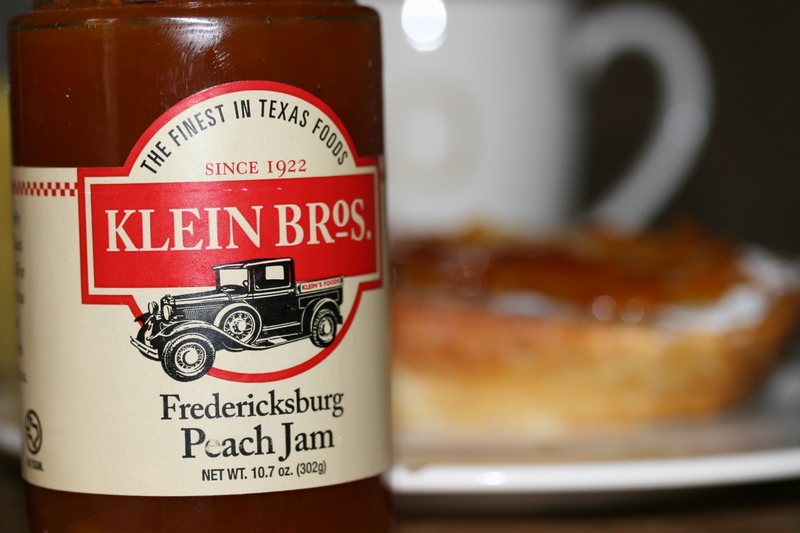 Today I used a Peach jam from one of our favorite Texas cities… Fredricksberg,TX. It’s a little german town in the hill country of Texas. Small town that has a influx of artists and chefs that create NYC type of food out in the middle of almost nowhere. When you head west out of Austin, you just exhale all the stress of city life and breath in small town america while not skimping on quality food and drink. Directions: Broil your toast with a little butter until browned or closed to burnt. A schmear of goat cheese and cream cheese. Put it back in the over for 40 seconds until the spread is easily spreadable. 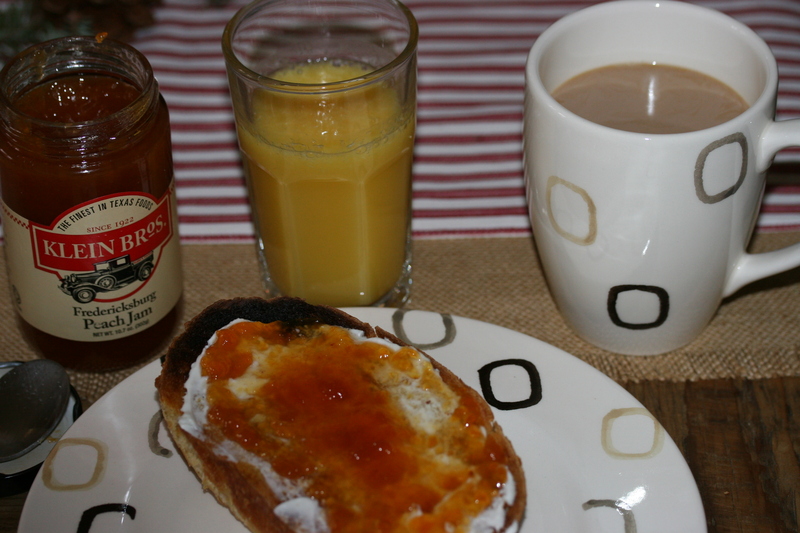 Top with Jam and enjoy with your cup of coffee or orange juice.